Two exclusive Diamond Select Toys Statues are available now at Gamestop Stores. 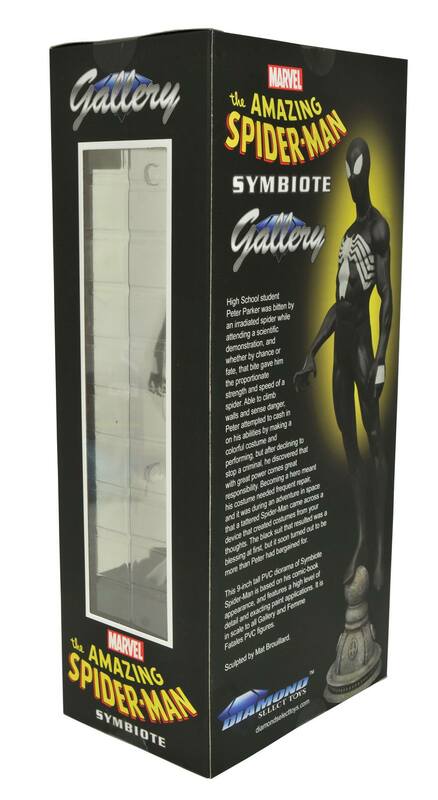 The statues are variants of the Deadpool and Spider-Man Marvel Gallery PVC Diorama Statues. 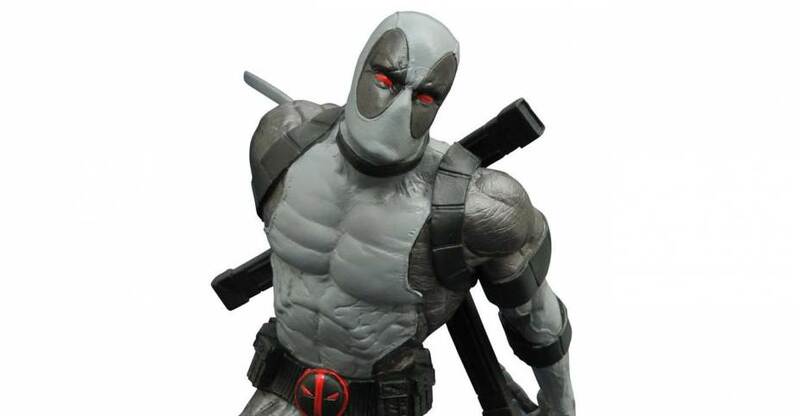 You can order the X-Force Deadpool online now. 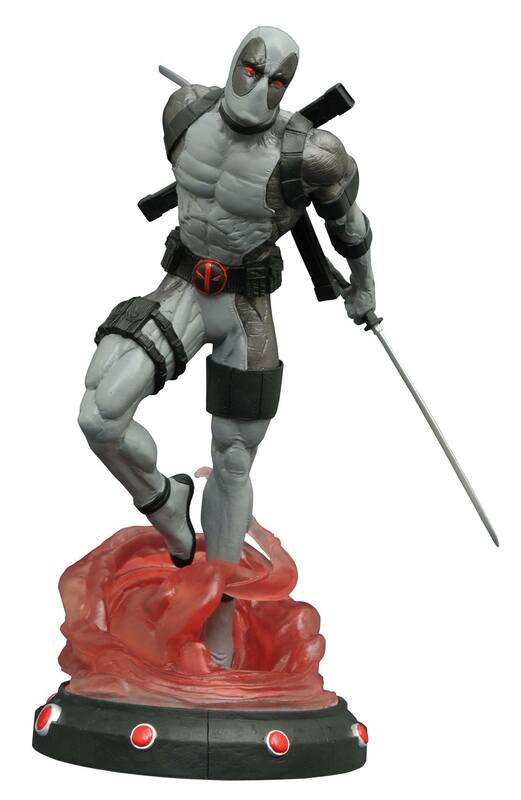 The statue features Deadpool in his grey X-Force outfit, complete with a diorama base. It’s priced at $49.99. 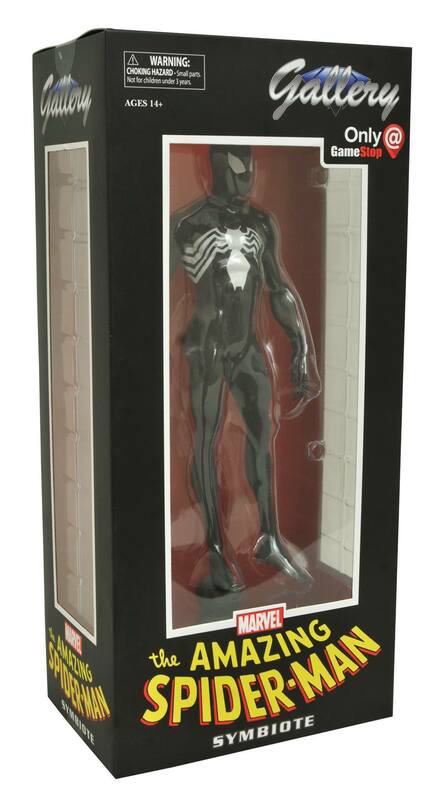 The Symbiote Spider-Man is currently only sold in physical Gamestop stores. Read on to check out a few photos. Must own that deadpool statue! you know, I just don't know what that Spiderman is doing! He's balancing on top of a building...scratching thin air? Yeah, this is just a repaint of the original costume. I do feel that that weird hand expression fits this costume a bit better, but it's still weird.